This is a pack of two Fioroni T.A.P. 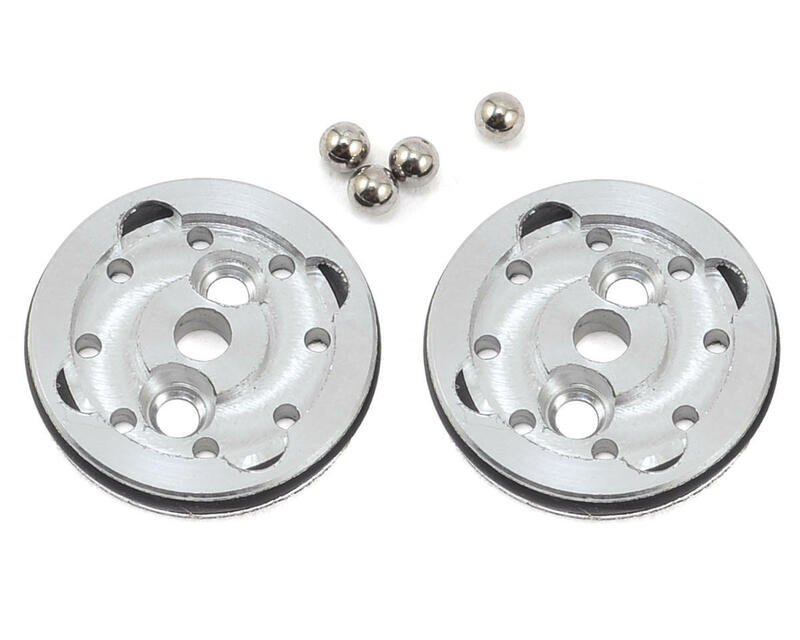 8x1.2mm 2-Balls Shock Pistons, for use with the 16mm shocks; such as Kyosho Team Associated, XRAY and the MBX7R line of vehicles. The Fioroni T.A.P. 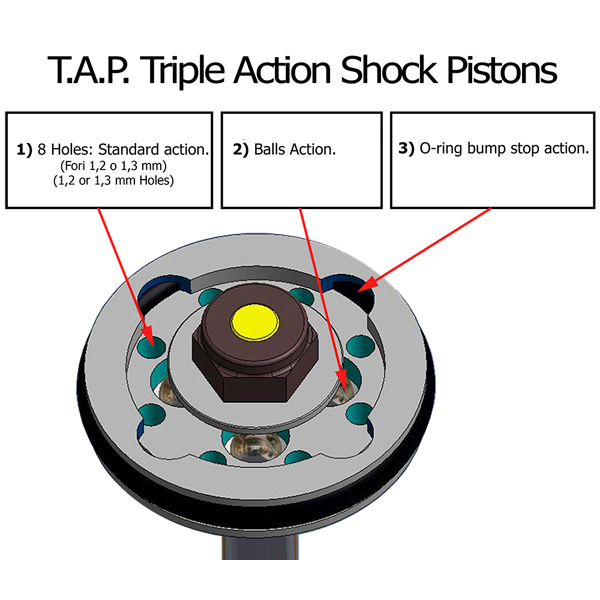 (Triple Action Pistons) system utilizes a full aluminum piston, outside rubber o-ring and inside ball bearings to create a system that features a bump stop effect going up and more rebound coming down. 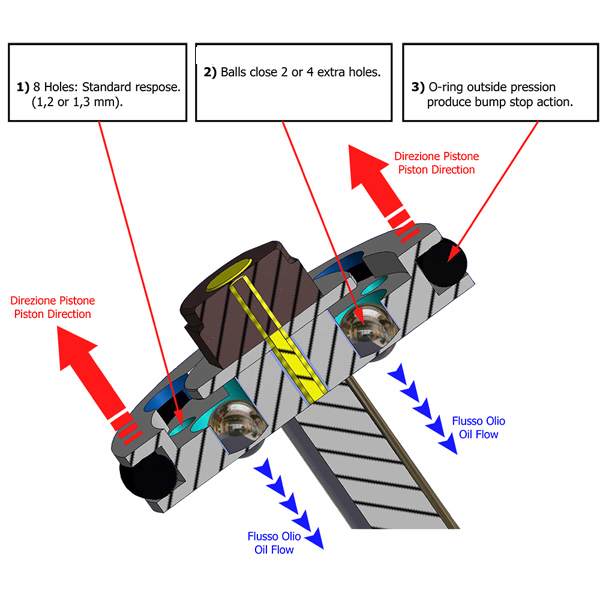 During shock compression, oil pressure increases pushing the ball bearings down, closing the rebound holes. 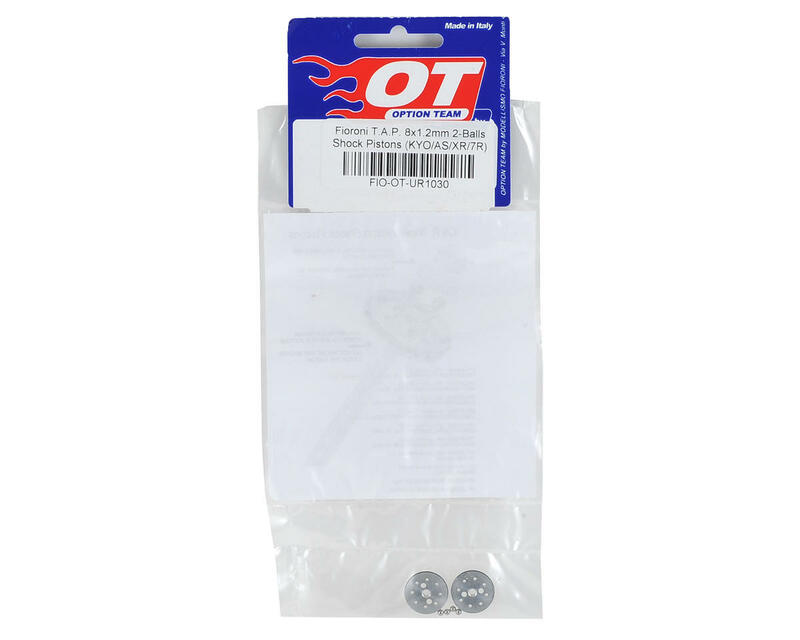 At the same time, the increased oil pressure pushes the o-ring against the shock body for additional resistance. 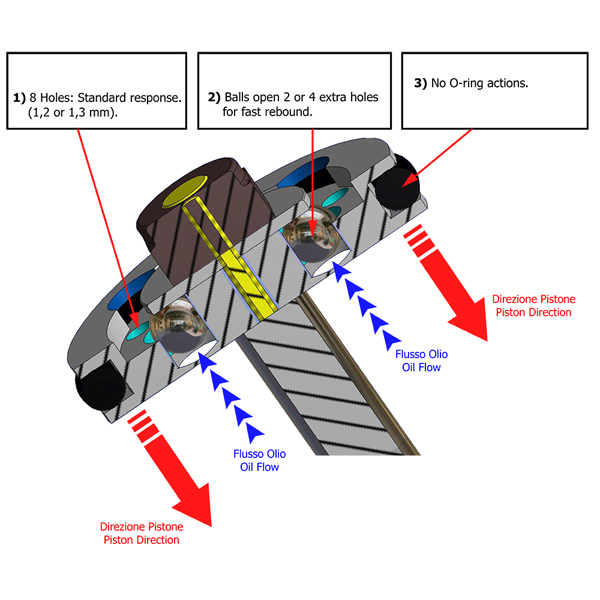 During rebound, pressure decreases and the ball bearings open up the rebound holes for extra oil flow, while the o-ring seizes pressure against the shock body. Note: Shock shafts, washers and nuts are not included.